After using the Roar of the Elders in anger, Kion unwittingly summons the Pride Lands' greatest villain, Scar. An extension of the universe launched by 1994�s Lion King, The Lion Guard exists as a Disney Channel series. 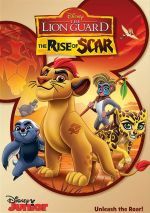 With 2018�s The Rise of Scar, we find a 51-minute movie that broadens the show�s horizons. The son of Simba (voiced by Rob Lowe) and Nala (Gabrielle Union), Kion (Max Charles) leads the Lion Guard, a group that protects the Pride Lands. He works alongside his pals Bunga the honey badger (Joshua Rush), Beshte the hippopotamus (Dusan Brown), Fuli the cheetah (Diamond White) and Ono the egret (Atticus Shaffer). Renegade snake Ushari (Christian Slater)) discovers a method that might bring back the spirit of Scar (David Oyelowo), Kion�s villainous � and deceased � great uncle. Kion and the Lion Guard need to work to prevent this potential disaster. Prior Lion King spin-offs included 1999�s Lion King 2: Simba�s Pride and 2004�s Lion King 1.5. While I thought Pride lacked creativity and inspiration, 1.5 offered a pretty fun affair. I hoped Rise would hew closer to the cleverness of 1.5, and every once in a while, it shows a little spark. This occurs mainly via the way it consistently harpoons the showtune-belting aspirations of Rafiki�s (Khary Payton) mandrill apprentice Makini (Landry Bender). Outside of those occasional moments of mirth, though, Rise mostly reminds me of the uninspired Pride. This feels like a generic animated adventure without much to make it special. On the positive side, Rise includes a few �name� actors such as Union, Oyelowo, Slater and Lowe. No, that�s not a true star-studded cast, but it�s more than I expected from an extended episode of a TV series. They provide competent work but I can�t claim any of them add much personality to the proceedings. Not that I blame them, as there�s not much room for growth given the flatness of the tale. At its heart, the story enjoys a bit of potential, mainly via the return of Scar. He acted as a great villain in the original film, so his presence threatens to add a dynamic element. Unfortunately, Rise just can�t take advantage of any possible positives. The movie seems slow and less than engaging, factors that make it a forgettable effort. 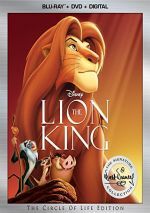 The Lion Guard: The Rise of Scar appears in an aspect ratio of approximately 1.78:1 on this single-sided, double-layered DVD; the image has been enhanced for 16X9 televisions. Given the limits of SD-DVD, the image worked fine. Overall sharpness seemed positive. Inevitably, the restrictions of SD-DVD meant a little softness, but the movie usually showed pretty nice delineation. I saw nothing more than minor signs of jagged edges and shimmering. Both edge haloes and source flaws remained absent. With bright hues, Rise offered fine colors. These stood out as bright and peppy. Blacks were dark and deep, while shadows appeared smooth and clear. This wasn�t HD caliber, but for SD-DVD, it looked strong. I thought the Dolby Digital 5.1 soundtrack of Rise opened up the material in a moderate manner, as the forward channels brought out the majority of the material and became the focal point. Music presented strong stereo imaging, while effects cropped up in logical spots and blended well. The surrounds threw in occasional elements, but they didn�t do a whole lot. Action scenes gave us a smattering of involving components and periodically brought the material to life. However, much of the movie emphasized the forward channels and didn�t create a particularly involving mix. Music sounded lively and full, while effects displayed good definition. Those elements seemed accurate and dynamic. The soundtrack merited a �B-�. The DVD includes four bonus episodes of The Lion Guard. We get �The Trouble With Galagos� (Season 1, Episode 16), �Janja�s New Crew� (Season 1, Episode 17), �Baboons!� (Season 1, Episode 18) and �Kions of the Outlands� (Season 1, Episode 20). Each one comes with identical 22:32 running times and they offer more adventures of Kion and company. Like Rise, these shows didn�t do much for me, but fans of the series will be happy to find them here. The disc opens with an ad for DisneyNature: Dolphins. As someone who enjoyed the original Lion King, I hoped The Lion Guard: The Rise of Scar would deliver a fun adventure. Unfortunately, it seems uninspired and not especially entertaining. The DVD offers pretty good visuals along with decent audio and a few bonus episodes. Kids might like Rise but I felt lukewarm toward it.